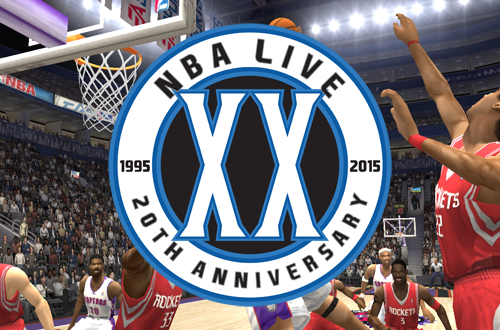 Next up in our 20th Anniversary of NBA Live content, it's a retrospective of NBA Live 2004! After NBA Live 2003 was skewed too much towards an arcade style of gameplay, NBA Live 2004 was a very welcome course correction towards being a far more realistic sim game. It was also the beginning of a very solid three year run for NBA Live on the PC, PlayStation 2, and Xbox, before the series began to struggle with its transition to the next generation. NBA Live 2004 was generally well-received in its day, and remains a favourite for many long-time basketball gamers. Read on to find out how the game was a return to form for the NBA Live series. Great retrospective, Andrew. NBA Live 2004 was the first LIve I ever put a lot of time into and is probably my second favorite behind Live 2005. Great soundtrack and the gameplay seemed so realistic when I was a kid. Thanks, glad you enjoyed it! It was quite realistic at the time (especially after some slider tweaks). I think that's something we forget sometimes when we look back at old video games. We say "I can't believe I thought these graphics were good!" or "I can't believe I thought this was so realistic", but at the time, it was a valid opinion. We forget that something was cutting edge or at least very good given the tech at the time, and that's the context that we have to look at old video games in, while also acknowledging that some of them haven't aged well in certain areas. Great article there. I remember the times when millions of patches existed for NBA Live 2004...every kind of modding. 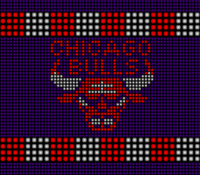 Tons of cyberfaces, shoes, jerseys, rosters, arenas... insanely moddable. We have a long way to go with 2K modding compared to what we could do in NBA Live 2004. It definitely was a golden age in the modding community. A shame a lot of those patches have gone missing over the years.